To even start being DIY Income Investor (i.e. Level 1 on the Income Pyramid) you must first pay off debt, particularly unsecured debt, such as credit and store card debt, bank loans and overdrafts. The reason is simple - it costs more than you are likely to make by savings and investing. Yet over half of UK families have unsecured debt, owing an average of £10,604, with the average debt increasing with the number of children in the household. A recent study by Aviva (reported in This is Money) said that 52 per cent of UK families are living with unsecured debts, including loans, credit cards and overdrafts. 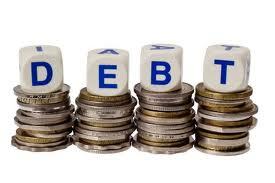 What is more, the average debt is nearly 50% of the average annual income, making it unlikely that many of these debts will be paid off soon. Excluding housing costs, families with debts are spending 9% of their monthly income on servicing them - compared with the 10% they spend on feeding themselves. The study by the insurer is one of the biggest investigations into how families are coping in the aftermath of recession - and the picture being presented is grim: falling incomes and increasing costs. Families are coping with their tight budgets by ‘cutting spending on non-essential purchases’ such as entertainment and holidays. So if you have eliminated your debts and are able to invest, count yourself lucky! But if you are investing, clearly there are some market segments to avoid at the moment, like Entertainment, Leisure, Restaurants, Pubs and Travel/Tourism. It looks like being a grim Xmas.